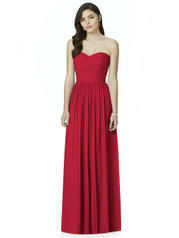 Full length strapless lux chiffon dress w/ sweetheart neckline. 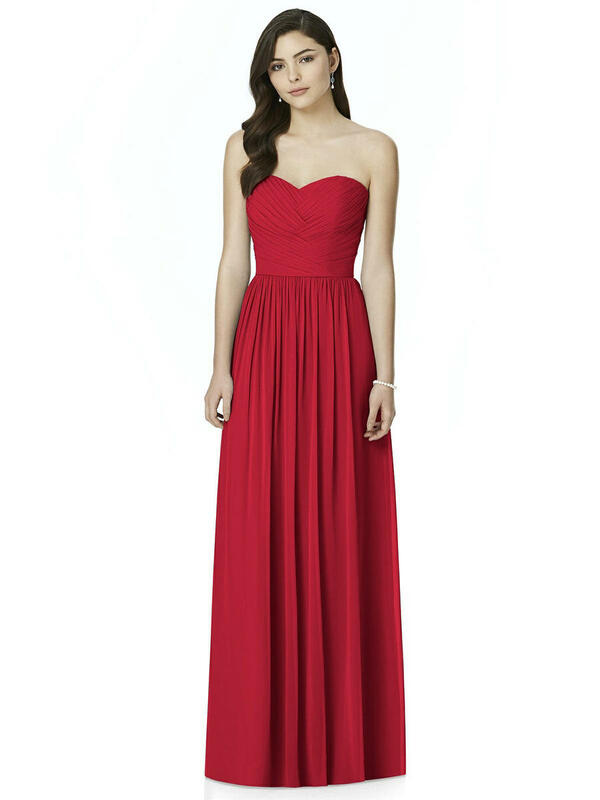 Draped bodice w/ crossover detail down center front. Shirring at front and back of skirt.